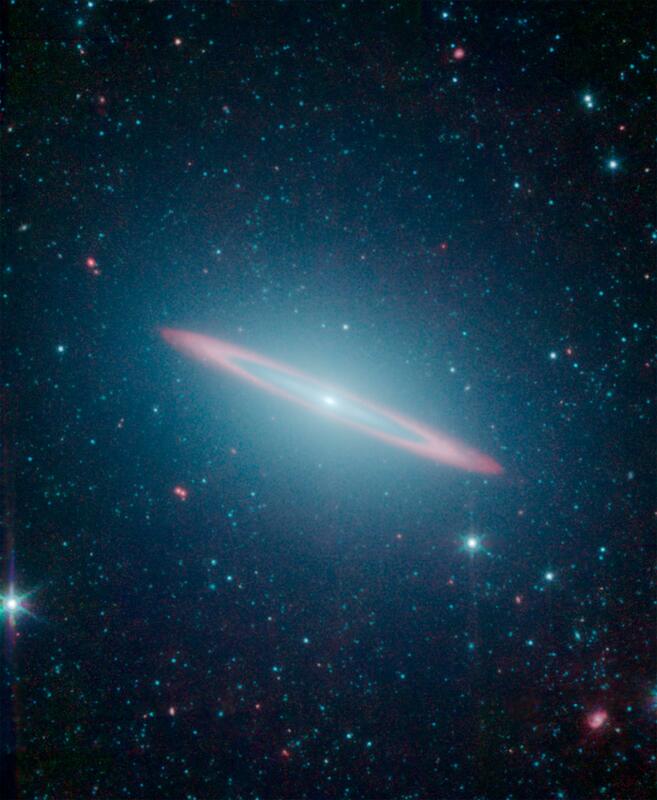 The infrared vision of NASA's Spitzer Space Telescope has revealed that the Sombrero galaxy -- named after its appearance in visible light to a wide-brimmed hat -- is in fact two galaxies in one. 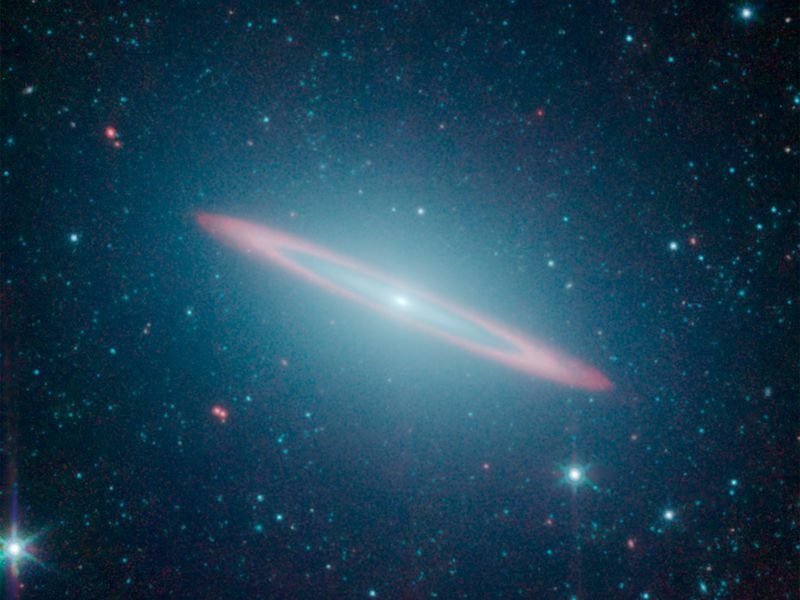 It is a large elliptical galaxy (blue-green) with a thin disk galaxy (partly seen in red) embedded within. 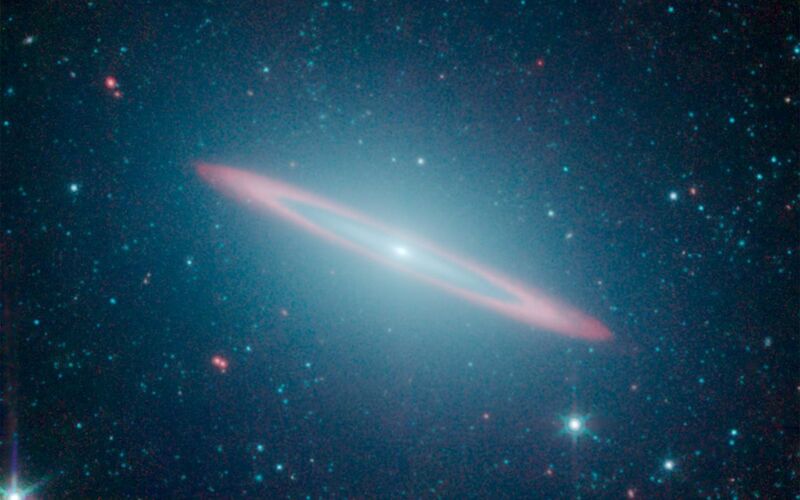 Previous visible-light images led astronomers to believe the Sombrero was simply a regular flat disk galaxy. Spitzer's infrared view highlights the stars and dust. The starlight detected at 3.5 and 4.6 microns is represented in blue-green while the dust detected at 8.0 microns appears red. 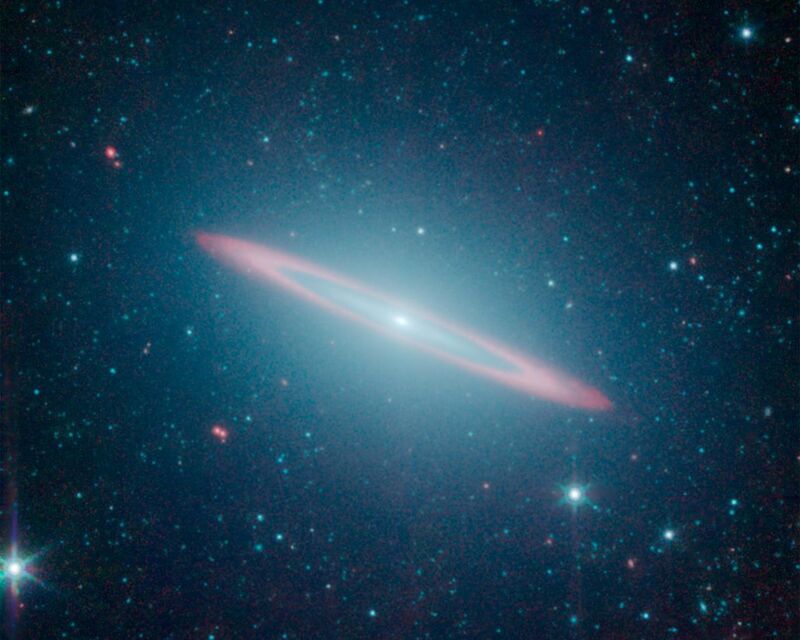 This image allowed astronomers to sample the full population of stars in the galaxy, in addition to its structure.